On Tuesday, Donald Trump made a really stupid reference to gun owners and Hillary Clinton that has been translated by the mainstream media as a threat against her. Trump was obviously referring to the 90 or so million legal gun owners voting against Hillary, but the left-wing media and Hillary worshipers are going crazy. 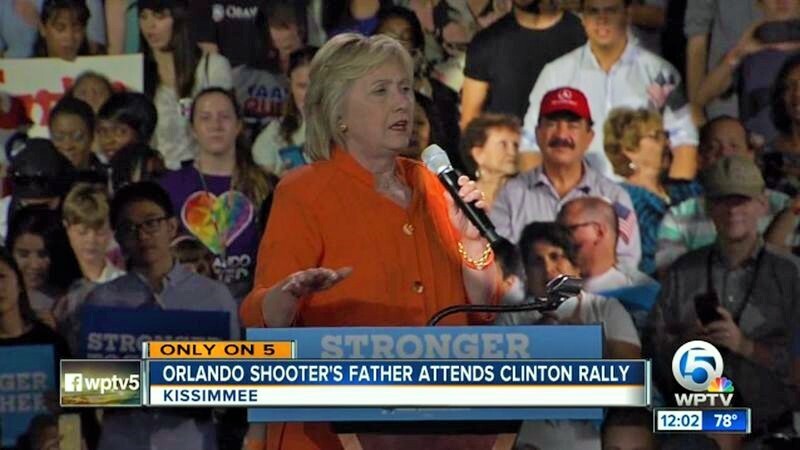 On Monday, cameras focused on Hillary Clinton at a rally in Florida revealed Seddique Mateen sitting on the stage behind the Democrat candidate. Mateen is the father of Omar Mateen, the professed ISIS member who murdered 49 people at a night club in Orlando in July. Of course, Mrs. Clinton denied any knowledge of his presence and her campaign said he wasn’t invited. If that’s true, how did he end up behind her? Are they once again lying or once again incompetent? The mainstream media was silent except for one brief story from ABC about why it was okay that he was there. And while the gunman’s father had no part in the Orlando shooting, his presence behind Mrs. Clinton sends an odd message to the surviving victims and their families, even as she was paying tribute to them in her remarks. Hillary and the mainstream media obviously have their priorities mixed up. 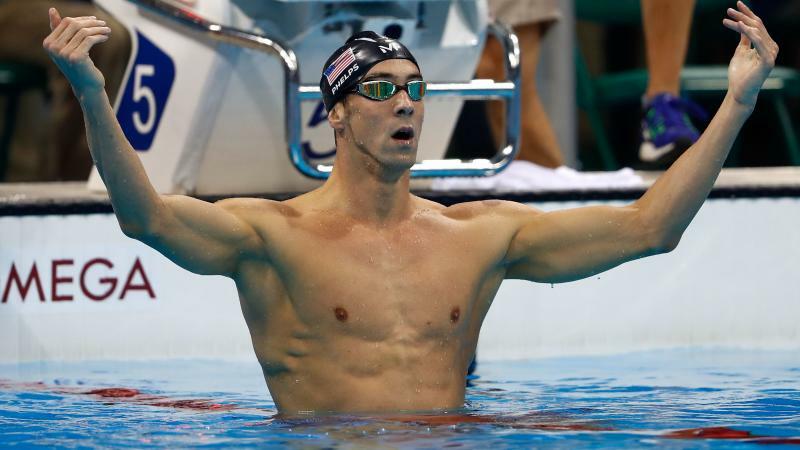 Michael Phelps made Olympic history by winning more gold. He has more medals than anyone ever and more gold than anyone in history. 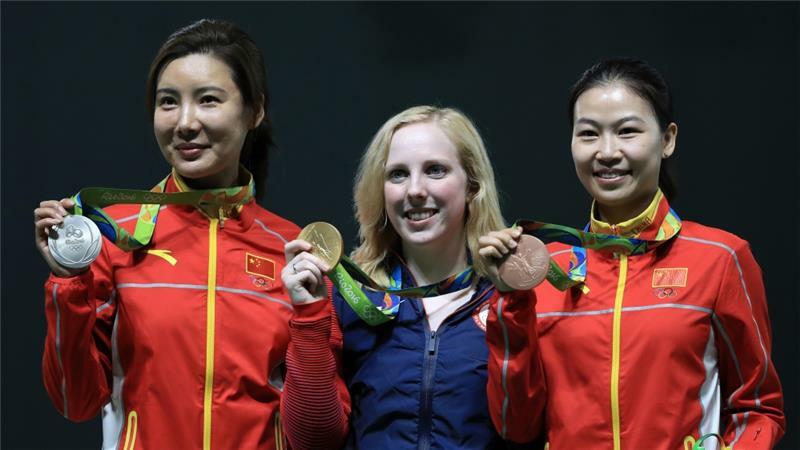 Ginny Thrasher won the first gold medal of the games in the shooting competition. Who does Hillary comment on and profess her pride in? The first Muslim to be on the Olympic team, whose only claim to fame is that she’s Muslim and who criticizes her own country on international television. The sad truth is that Hillary Clinton and the mainstream media are failing the United States. Hillary’s ever growing e-mail troubles prove corruption, deceit, and ineptness by the Democrat candidate. The mainstream media’s failure to report on Clinton’s troubles, combined with their complete lack of actual journalism, leave the American people uninformed. And that’s exactly what the Democrats want. ALERT: How To Be Sure To Continue Seeing Our Content On Facebook.